Hello everyone! Hope you all are having a great weekend. 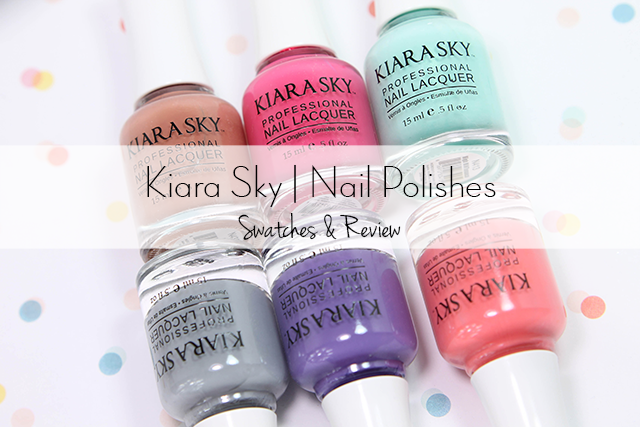 For today's post, I have some new polishes from a new-to-me brand called Kiara Sky. I was actually looking forward in trying this brand since I've seen them on mainstream instagram. The set of colors I received are various shades from their site. With 101 shades there are plenty of beautiful colors to choose, especially with matching gel polishes. Styletto- is a medium-to dark gray creme. The formula on this polish was amazing and opaque in just one coat. 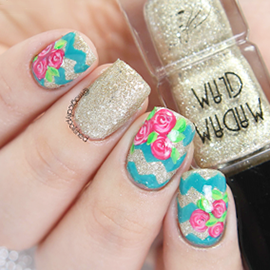 The application was super smooth, making it easy to apply on the nail. I applied one coat sealed with top coat. Trophy Wife- is a florescent pink an perfect shade for the summer. 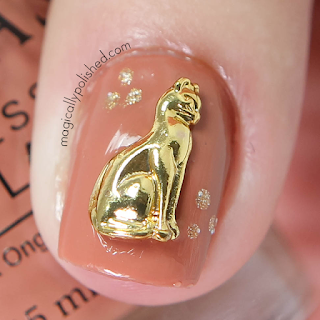 The formula on this polish is exceptionally good. I had no problems with streaking or staining at all. Although you may get away with one coat, this is two coat sealed with top coat. 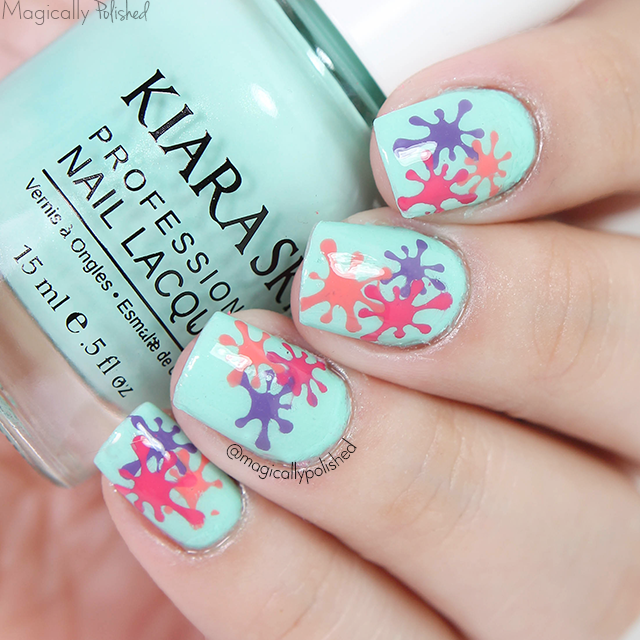 Trophy Wife and Romantic Coral. Lastly I then sealed the deign with top coat. CEO- is a neutral beige creme with a hint of orange undertones. The application was absolutely amazing, smooth like butter! You definitely can get away with a one coater, however for the swatch I applied two coats sealed with top coat. 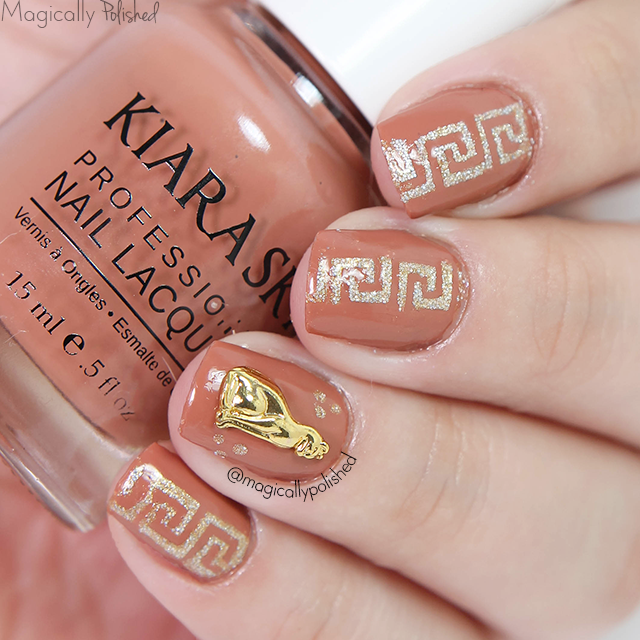 For this look I wanted to create something simple and Greek/Egyptian style (thinking it would work together). For the base it's two coats of CEO. 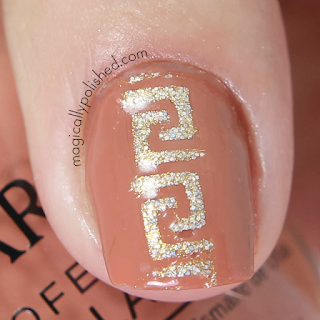 Once completely dried, I used Whats Up Nails Greek nail vinyl using OPI A Mirror Escape and on the ring finger Bastet nail charm from Daily Charme. Lastly I then sealed the design with top coat. Chinchilla- is a really pretty lilac creme. The formula on this polish is pretty good. I had no problems with streaking or staining at all. You will probably need more than one coat for full coverage. This is two coats sealed with top coat. Romantic Coral- is a coral creme with a hint of pink undertones. Very impressed with the formula it is a dream, very creamy. The application was absolutely amazing, smooth like butter! You definitely can get away with a one coater, however for the swatch I applied two coats sealed with top coat. 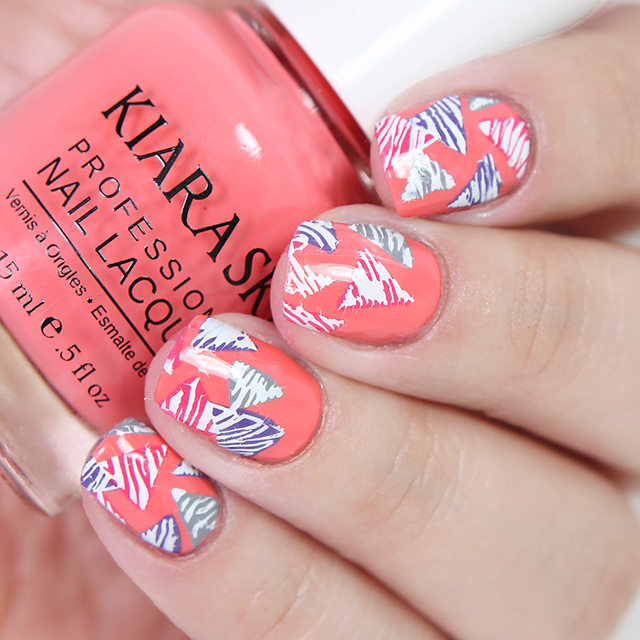 I thought it would be fun to use one of Bundle Monster stamping plates to create this look. I really loved how it turned out. For the base I used two coats of Romantic Coral. Once that was set, I then used a white stamping polish over Daddy's Little Girl triangular pattern and filled in Styletto, Chinchilla and Trophy Wife. Lastly I then sealed the design with top coat.